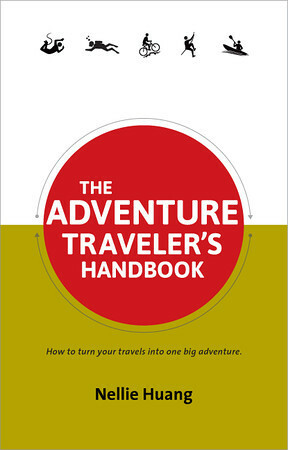 Price: $340 to $1000 for two people. 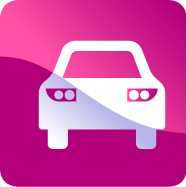 The beautiful surroundings and the unconventional accommodation experience is really worth the price tag. 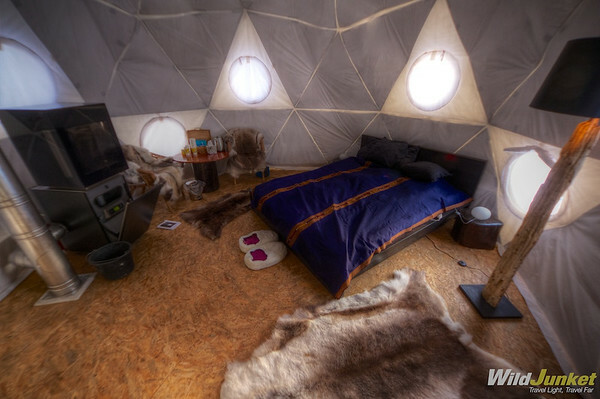 Sleeping in an igloo is not for everyone. Although it gets warm and comfortable inside the sleeping bag, getting in and out of it is not a pleasant experience. 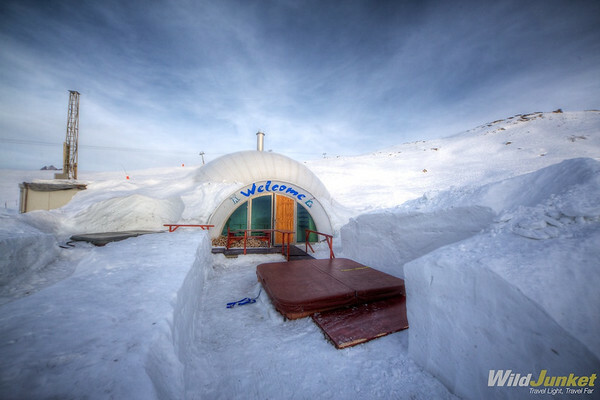 For those who can't take the cold, an upgrade to a hot igloo is usually available on site. 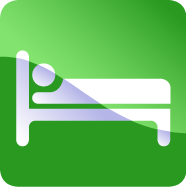 Overall we found the hotel to be very well arranged and the whole experience really interesting and fun. 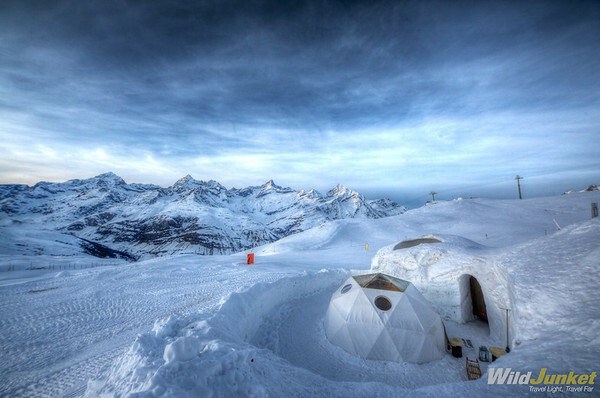 Sleeping in an igloo is one of those things you need to try once in your lifetime. 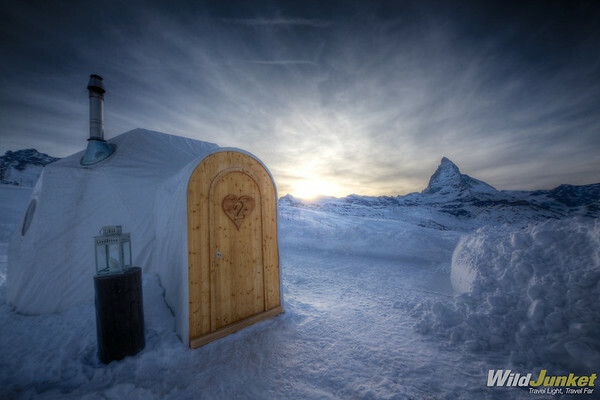 Right in the middle of the ski slopes of Zermatt and surrounded by spectacular views of the Alps and the imposing Matterhorn mountain, the Iglu-Dorf is not your conventional accommodation in Switzerland. 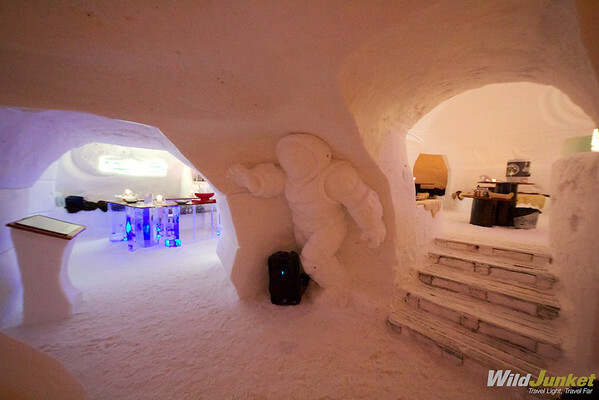 Built from fresh snow each year, the Igloo Village is a hotel made of a mixture of snow and ice, with igloo-shaped rooms and white icy bars and lounge areas. 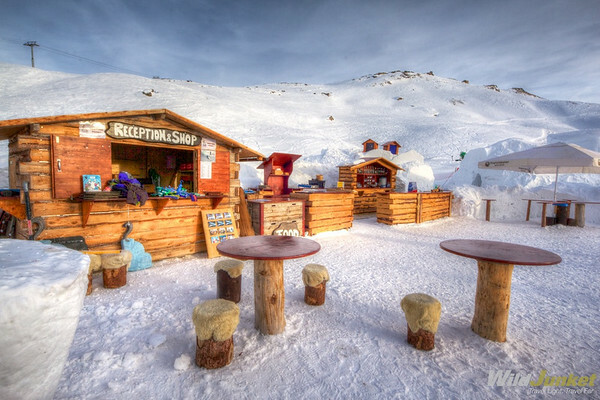 In the day, it acts as an aprés-ski bar and by night, it’s converted into a frosty ice hotel. For dinner, guests are served warm and rich cheese fondue and mint tea, usually followed by a comfortable dip in the open air jacuzzi. 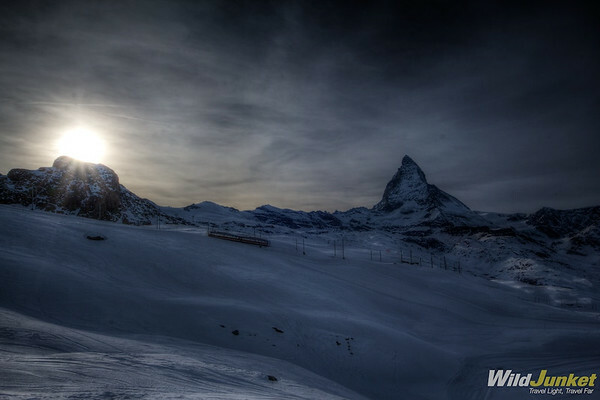 Short night snowshoeing excursions are also arranged before getting tucked in your warm and cosy sleeping bags for the night. 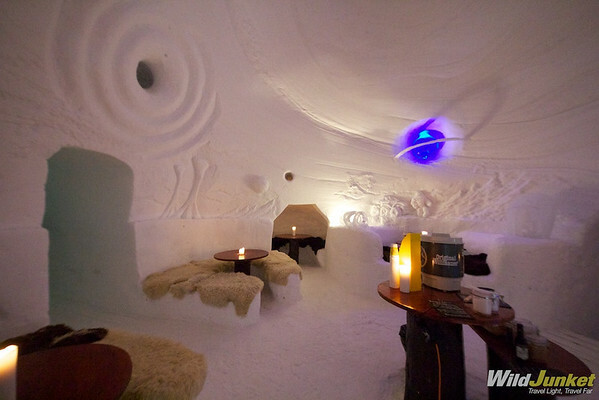 Our room was a standard igloo room. Besides the elevated platform where the thin mattresses and sleeping bags rested and a small hole for a battery-powered torchlight, the room was basically a hole in the snow. 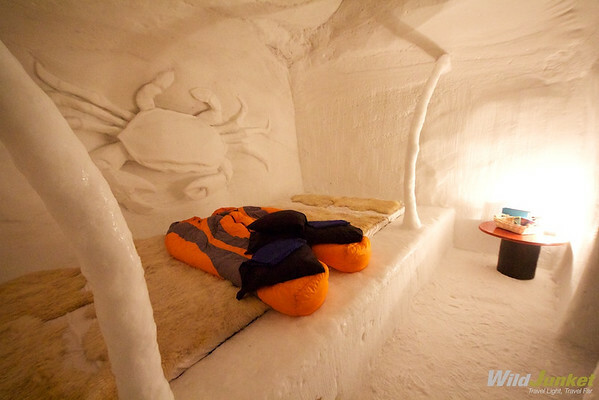 Not all rooms are this simple though, the romantic igloo suite for example features a snow masterpiece as a bedframe, its own ensuite warm toilet and even an open air hottub. 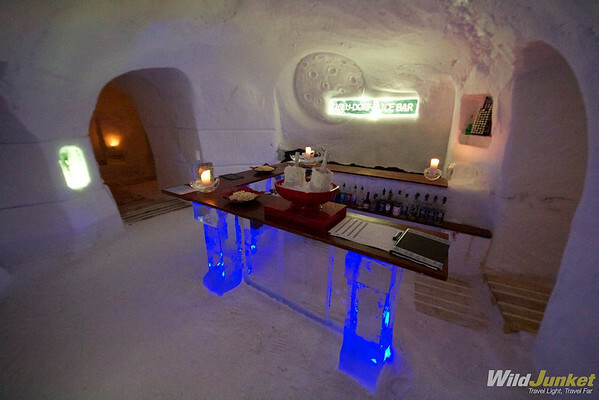 The perfect setting for an authentic igloo experience. 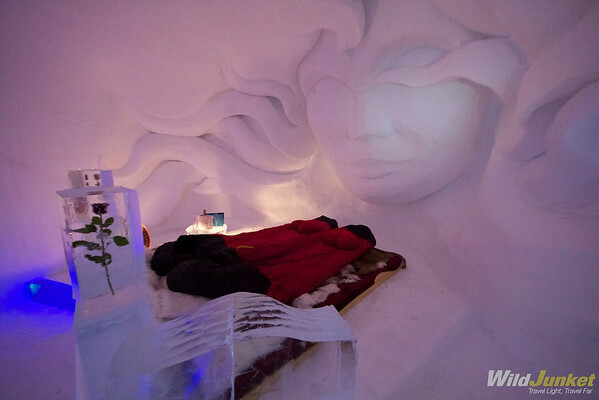 Disclaimer: Our stay in Iglu-Dorf was sponsored, but all opinions expressed above are our own.